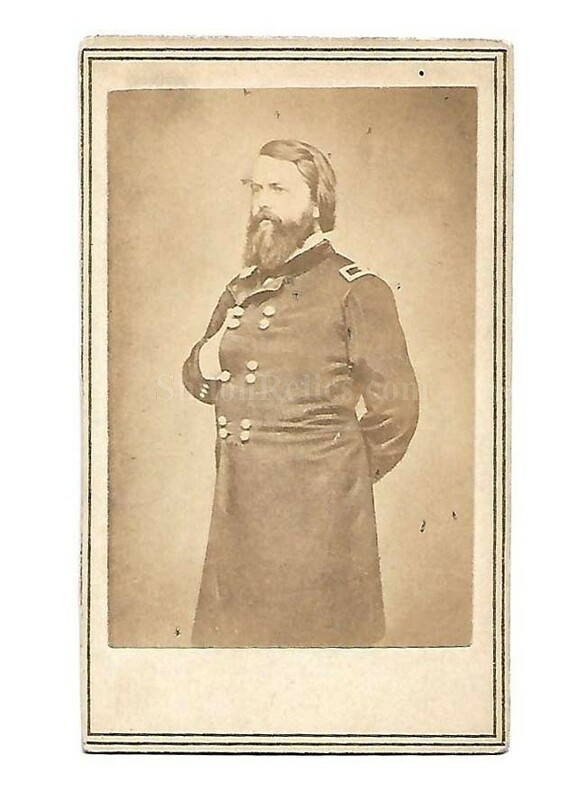 This is an original Civil War era CDV image of Civil War General John Pope. Pope was born on March 16th 1822 in Louisville, Kentucky. He was connected by marriage to Mary Todd Lincoln and was a descendant of George Washington. He graduated West Point Military Academy in 1842. 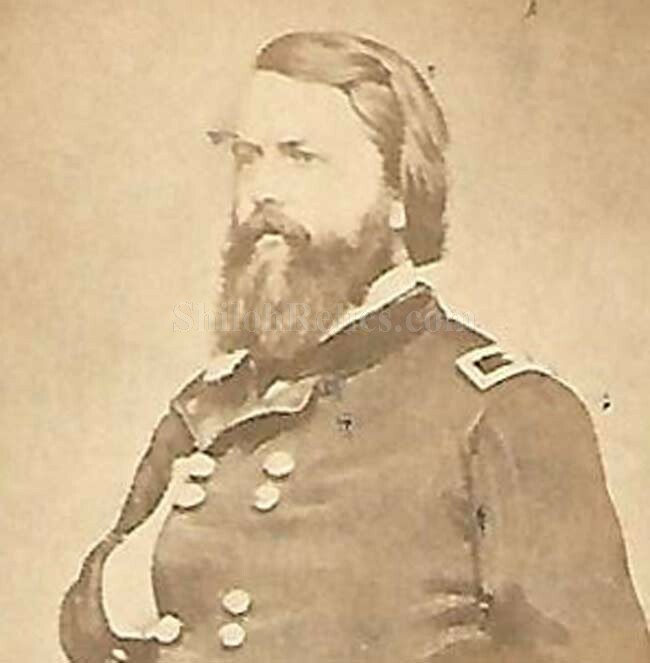 During the Civil War, he was made a brigadier general of volunteers from June 14th 1861. On march 22nd 1862 he was promoted to the rank of Major General because of his work securing the Mississippi River. After the battle of Corinth, he was placed in charge of all of the Union forces int he East except those under McClellan. After the debacle at Second Manassas, McClellan was placed back in charge. Pope was sent out to Department of the Northwest to fight the Sioux Indians. He continued to serve until his death in 1886. He is buried in St. Louis. This is a knee-up view of the general in a stately pose. The CDV images were made by applying a thin paper photo image of the famous person of the day to a heavier paper card. This made the image more durable and easier to display and also added uniformity to the size. The overall size of a CDV image is approximately 2.5 inches by 4 inches in size. 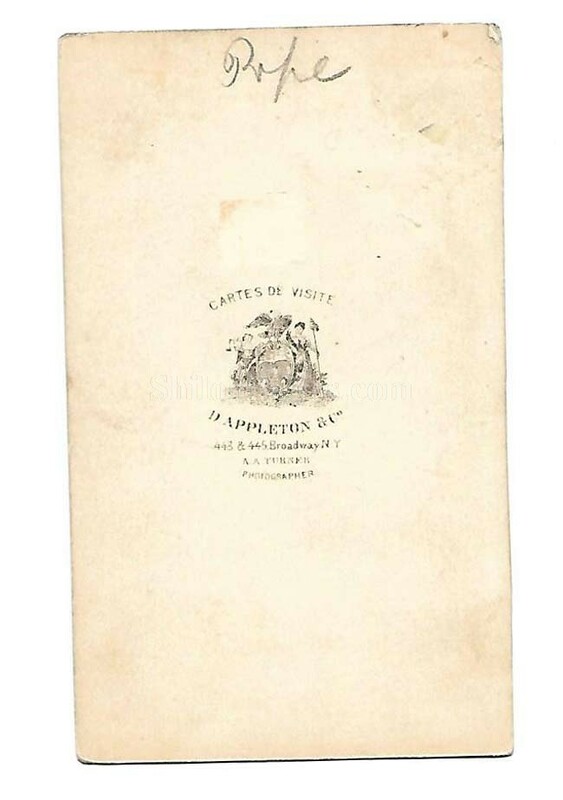 On the back of the card, it has the photographer mark of the Appleton firm in New York. This is a solid original Civil War Union CDV image.